Traumatic brain injuries are often severe and life-threatening, causing significant and permanent disability, and often result in a lifetime of pain and suffering. 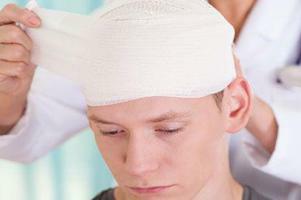 Injured accident victims who have suffered a serious head trauma may be unable to work in their chosen profession, provide for their families, and perform routine basic care. So, they need a law firm on their side from the moment they’re injured, protecting their rights to compensation and safeguarding their family’s future. Traumatic brain injuries most commonly occur in falls and car accidents, but they are also caused by sporting and workplace accidents, or assaults and head trauma. In 2013 alone, more than 2.8 million people visited emergency rooms across the country because of a head injury, and between 2007 and 2013 the number of traumatic brain injuries increased by 47%. 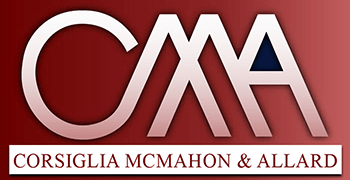 At Corsiglia, McMahon & Allard, LLP, our California traumatic brain injury lawyers have the experience and resources needed to represent you in these complex cases. We offer compassionate, yet aggressive legal representation from the moment you call our office and we aren’t afraid to go toe-to-toe with large insurance companies on behalf of our injured clients. This tenacity has helped us secure multi-million-dollar verdicts for our injured clients. Falls - Falls account for 47% of all traumatic brain injuries and are the leading cause of head injuries in the United States. The elderly and children are more likely to sustain fatal brain injuries after a fall. Struck by Object - An assault or a sporting accident accounted for 15% of all brain injuries in the country. Motor Vehicle Accidents - car accidents, trucking accidents, and motorcycle accidents accounted for 14% of all brain injuries. Sadly, they were the leading cause of traumatic brain injury death in youth between the ages of 5 and 24, and are the main reason why adolescents and adults under the age of 44 are taken to the hospital. Other Accidents - other types of accidents that can cause traumatic brain injuries include self-harm, drowning, and poisoning. The accidental discharge of firearms – even giving birth – can also result in traumatic brain injuries. Diagnosing a traumatic brain injury is a very complex matter. Documenting the extent of brain injuries and the consequences of those injuries over the course of a person’s life is a major undertaking. If you have suffered a head or traumatic brain injury in an accident, we can help you collect the compensation you deserve. You have a right to recover damages, such as medical expenses, lost wages, loss of future earnings, long-term care expenses, and pain and suffering. Since brain injury lawsuits are complex, accident victims don’t always understand how much their injury will affect their future. At Corsiglia, McMahon & Allard, LLP, our traumatic brain injury lawyers know your future is at stake after a serious brain injury. In addition to medical expenses, we ensure that any verdict or settlement accurately reflects lost wages, as well as loss of future earnings. Why? Because studies show that up to 60% of adults with a brain injury are unemployed after just two years. That’s why we work tirelessly with medical professionals to arrive at an accurate determination of how much money you will truly need. If you or someone you love has sustained a serious head or brain injury after an accident, you may need more money than you think. Head injuries are some of the most complex injuries an accident victim can suffer, and they can have long-lasting and permanent consequences. We work with your doctors to determine how much money you will need on your road to recovery and we fight insurance companies hard to ensure you receive everything you’re entitled to. At Corsiglia, McMahon & Allard, LLP, our San Jose traumatic brain injury litigation attorneys are ready to fight for you from the moment you’re injured. To learn more about how we can assist you after suffering a head or brain injury, call us at 408-289-1417 to schedule a free consultation. One of our attorneys will meet with you personally. We’re here to help. Locations served: San Jose | Santa Clara County | San Francisco Bay Area | Northern California.